Outside of a few individuals on the Montreal Canadiens, no player lived up to or exceeded expectations this season. Some of the less-than-stellar seasons from the players ranged from understandable to downright puzzling. In the case of Shea Weber, a fractured foot from the first day of the season before requiring surgery for tendon damage makes a lot of sense. Artturi Lehkonen experienced a significant sophomore slump while Jonathan Drouin struggled to adapt to playing centre. The Habs need a lot of their players to be much better, but there are five in particular whose individual performances could mean the difference between the draft lottery and the playoffs. 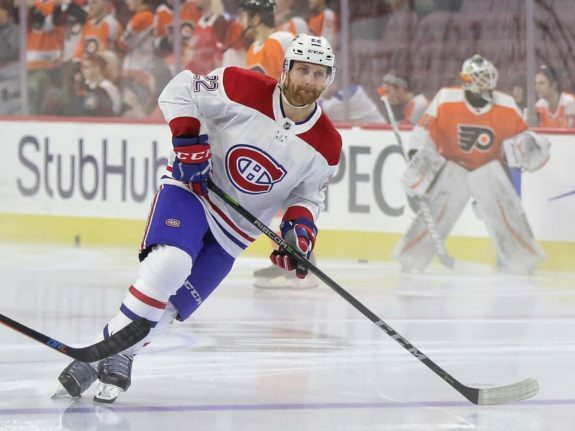 As Montreal’s big free-agent signing on July 1, Karl Alzner is being paid to be a top-four defenceman. However, his play much of the time is anything but top-four quality. It was easy to see Alzner’s transition to Montreal’s system after years in Washington was difficult. For most of the season, he was also stapled to Jeff Petry, which was a pairing that just didn’t work, and both players have played better away from each other. However, Alzner has performed better since being paired with rookie Noah Juulsen, as both have benefited from the pairing. Compared to the right side, the left defence is pretty weak, so unless the Habs shore that side up in the off-season, the pressure is on Alzner to be much better than he has been this season. He has never been an offensive defenceman, and it’s unreasonable to expect him to suddenly become one. What Alzner can do is be a defensive presence who isn’t a liability in his own zone. That’s the key for him to be successful. Perhaps having a year under his belt with the team will make next year easier for him. The sophomore slump hit Lehkonen harder than anyone probably anticipated, especially after a promising rookie season with 18 goals. Injuries and an inability to score defined his season, as he has just 18 points (10 goals) in 61 games so far. Fortunately, Lehkonen has shown signs of coming around again with five goals in the month of March alone, and his overall play has picked up. 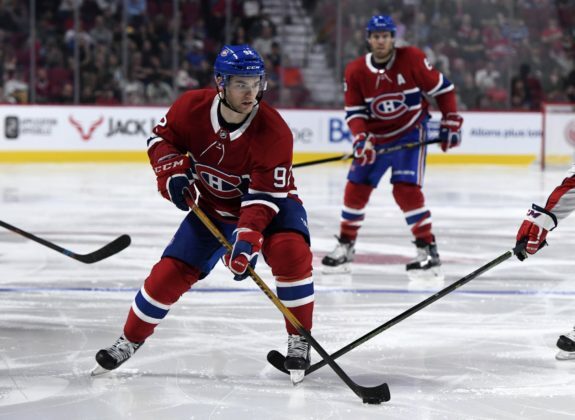 He has looked good on a line with Alex Galchenyuk and Jacob de la Rose, as all three have been playing well since being put together around the trade deadline. Lehkonen has the goal-scoring ability to be a 20-goal player, and his all-around game has always been solid. Many players go through awful sophomore slumps only to come out on the other side a better player, and the fact that Lehkonen has found his game this month is a promising start. A strong third year from him would help shore up the right wing position for Montreal. It’s hard to say if Max Pacioretty will even be a Montreal Canadien when next season begins, but considering how this year went for him, it’s important to include him here. He only played 64 games this season as he was declared done for the year a few weeks ago with a knee injury. Pacioretty only put up 37 points, including just 17 goals. This was the first year since the 2012-13 shortened season that Pacioretty didn’t have 30-plus goals. It was a very off-year for the captain, as he had trouble scoring for long stretches and/or had little impact on the game. The calls to replace him as captain have grown louder, especially with how Brendan Gallagher played and conducted himself in this mess of a season. 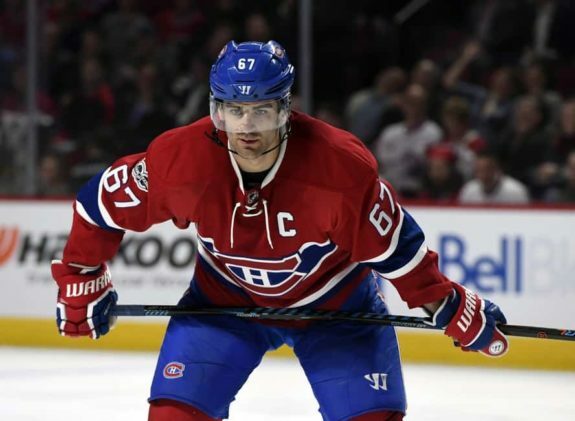 Pacioretty could come back next year and return to his 30-goal form, but with his contract up in 2019, the Habs have a choice to make with their captain. Do they take advantage of his contract situation and move him in the summer or at the trade deadline in a deal to make the team younger? Or do they sign him to a long-term extension and commit to as their leader? Pacioretty is still the team’s most natural goal scorer, so replacing him wouldn’t be easy. However, if the right deal comes along, especially if it involves a young centre or defenceman, management will surely have to seriously consider it. The pressure for Jonathan Drouin to perform this season was palpable. Giving up a top defence prospect in Mikhail Sergachev to acquire the very talented hometown boy to be their offensive saviour at centre and inking him a six-year deal, there was little room for Drouin to falter. Unfortunately, Drouin struggled for a lot this season. Playing on a less talented team in Montreal compared to the Tampa Bay Lightning did him no favours, but it was the position change that really seemed to hinder his success. Playing centre over his natural left wing was a struggle for Drouin. While his production has seen an uptick with 23 points in his last 35 games, along with his faceoff ability coming a long way, Drouin still seems like he would be better on the left wing. It’s where he has had his success up until this year and was the fast, offensively-gifted winger he is known to be. Starting next season with Drouin as a centre again would not be the wisest move unless his game dramatically takes a step forward. Either way, if Montreal wants to be back in the playoffs, Drouin has to be a lot better next year as they didn’t bring him in to be a 40-to-50-point player. They need game-breakers up front and he has the talent to be one. 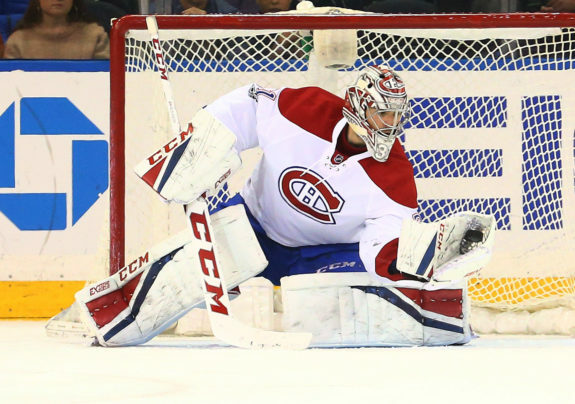 The most surprising drop in play from a Hab has to be Carey Price. From the get-go, Price didn’t seem like himself as he was often caught out of position—a shocker considering his technical prowess—and soft goals were getting by him. Reports of him dealing with chronic fatigue popped up, which would partially explain some of his struggles. However, Price never seemed to be able to get on track at all this season. A strong game would be followed by a weak one and letting in soft goals would be deflating for the team. He missed a month with a concussion but didn’t play that much better when he returned. This off-year has been concerning considering Price is turning 31 this summer and his massive eight-year extension kicks in July 1. Price has battled back from rough stretches before to be better than ever, so it would be a little naive to completely doubt him. The Habs are built on how well Price plays, and he is the difference between the playoffs or the draft lottery. It isn’t fair to put all the team’s entire hopes on Price, but with his contract and superstar ability, he isn’t free from criticism either. A trip to the World Championships could potentially be in the cards for him, and playing with the national team in meaningful games could give him a spark. Or after what’s happened this season, perhaps a long summer of rest could help him hit the reset button and come back to be the superstar goalie he is capable of being. The Habs need to get it together if they want to be in the playoffs next season. They still need some big pieces if they want to seriously contend, but to play like they did this year is unacceptable. The five players mentioned above play key roles and quite simply need to be a lot better if success is going to follow. As much as it is on management to fill in the gaps, there also needs to be some onus on the players to come ready to play and perform. There is no reason these five can’t come back and be much better versions of themselves. Until then, fans will be waiting with bated breath before training camp rolls around in September.